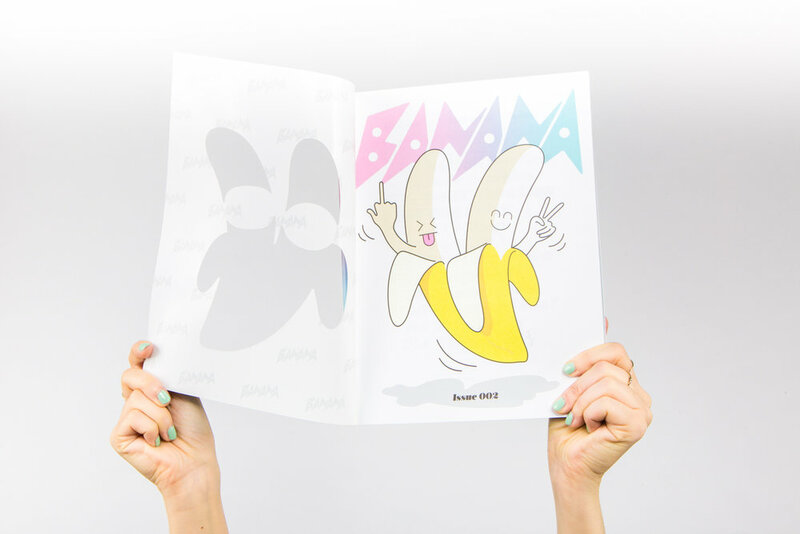 Cover + Feature: Shawna X - Visual artist and designer Shawna X is Banana’s featured cover artist for issue 003. Our profile on Shawna explores her upbringing, and how identity and sexuality plays a part in her work. Shawna also shares select pieces from her recent exhibition, All Alone. With vibrant taste and a strong point of view, Shawna brings issue 003 to life right at first sight. Words by Tiffany Tso and all artwork by Shawna X. Calling All Bananas - Banana held an open call on its social channels, asking Asian friends and supporters to submit a personal thought or experience that represented the societal strains and racial tensions that exist in America today. The Asian American Identity - A first-person narrative, writer Peter Trinh takes Banana on a moment of self discovery as he navigates through what the Asian American identity is today. Supporting illustrations by Jason Raish. Life in a Chinese Takeaway - Growing up in a family-owned Chinese take out restaurant--or takeaway, as the British say--writer Angela Hui recounts her childhood and reflects on how her upbringing has shaped who she is today. Illustrations complemented by Jocelyn Tsaih. Ross Alley - Banana tapped photographer Vincent Trinh to capture a slice of life in San Francisco’s Chinatown, specifically a small street within named Ross Alley. Welcome to Chinatown - Banana explores New York’s Chinatown through the eyes of six locals who represent the next generation of Chinatown. Curated by Nom Wah founder, Wilson Tang, we brought together thought leaders, business owners and creatives to discuss the future of the beloved and quickly gentrifying neighborhood. 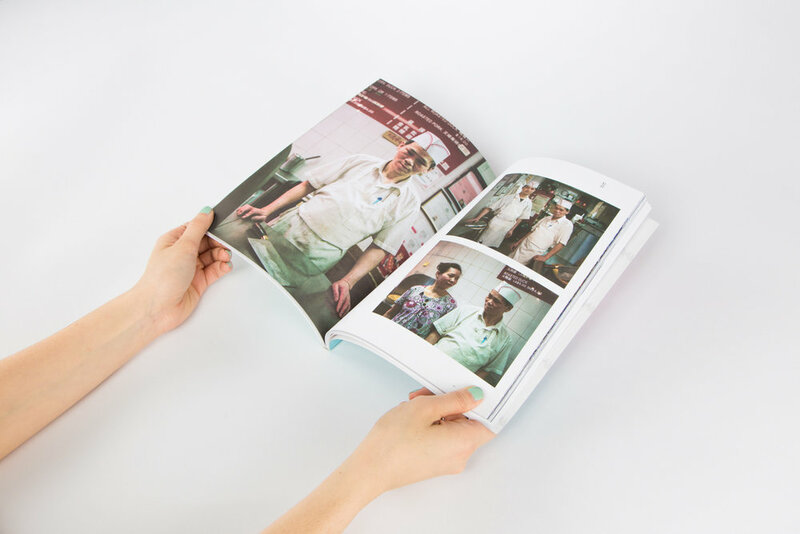 Featured subjects include film director Evan Leong (Linsanity, Snakehead); Sophia Ng Tsao, owner of Po Wing Hong; developer Phil Chong of Canal Street Market; head chef of Nom Wah Nolita Calvin Eng; co-owner of L.E.S. 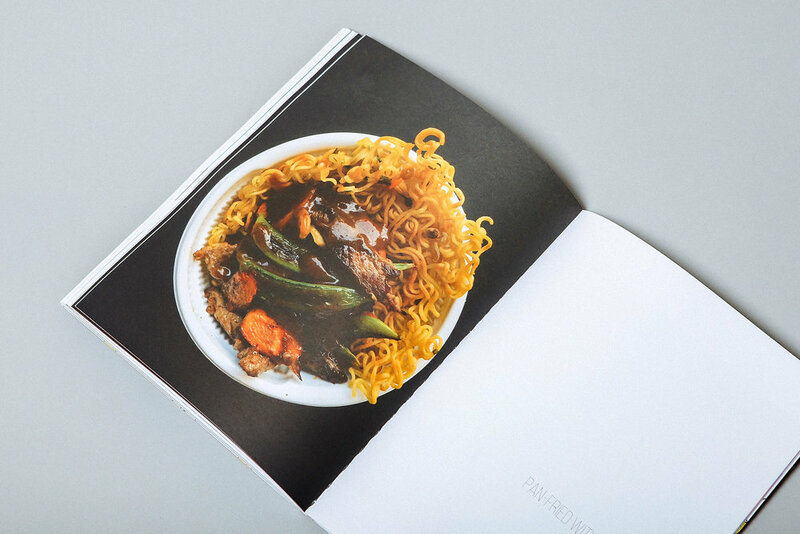 Kitchen and Breakroom, Christopher Wong; and photographer and director An Rong Xu. Words by Kathleen Tso and photography by An Rong Xu. Hot Pot, Three Ways - Bon Appetit photographer Alex Lau and food stylist Tyna Hoang join forces to explore traditional Asian hot pot within three different cultures: Chinese, Japanese and Thai. 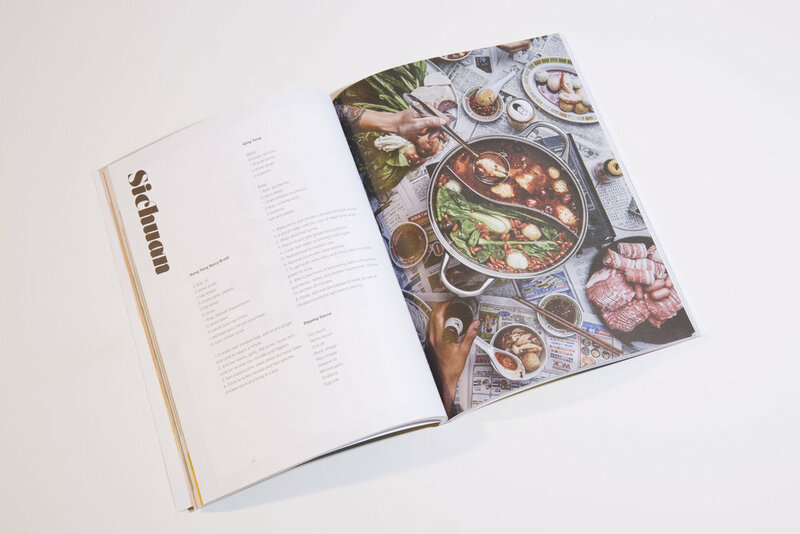 Writer Eric Diep interviews Tyna on the similarities and differences between each region while she shares mouth watering recipes to try at home. Ashley Yang-Thompson- Artist Ashley Yang-Thompson shares her recent work with Banana--vibrant paintings that reflect on her personal struggles and upbringing as a hapa, while tackling issues on identity and sexism. Written by Michael D. Nguyen. 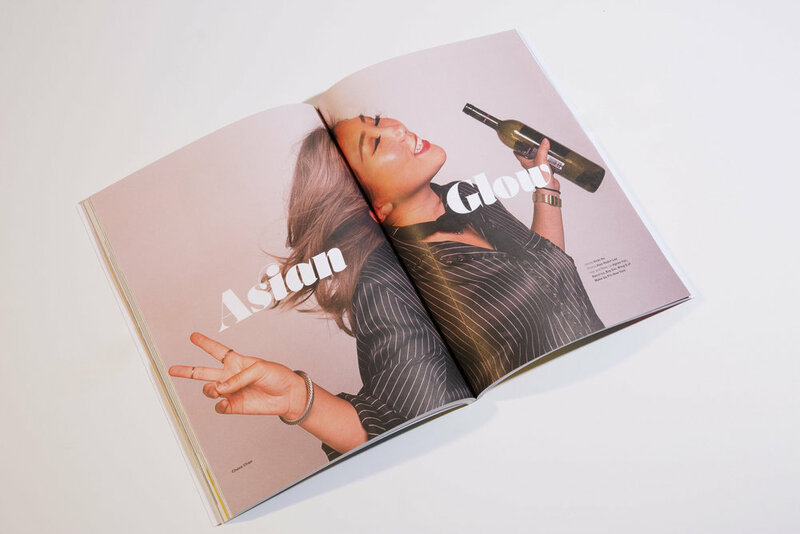 Asian Glow - Banana tapped 10 NYC-based creatives to share their experiences with Asian glow, the often embarrassing redness effect of Asians drinking alcohol. Writer Vicki Ho explains the scientific and societal effects of Asian glow, while subjects are captured on camera to physically showcase the glow. Featured creatives include Jian DeLeon, editorial director of Highsnobiety; Daryl Oh, founder of Holyrad Studios; and designer David ‘China’ Chang. Photos by Alex Hodor Lee, with hair and makeup by Make Up Pro New York. Private Policy - Writer Jian DeLeon interviews Private Policy on the inspiration behind their Spring/Summer 2017 collection, a genderless line intended to raise awareness on the plight of Southeast Asian fishermen who are promised jobs on boats but end up as modern slaves. Photographer Natalie Fong captures sun-soaked images of the collection. Styling by Beverly Nguyen, makeup by Lisa Thai, and hair by Juli Akaneya. China’s Next Great Export- Writer Allyson Toy travels to China with Hubei-born, Brooklyn-based rapper Bohan Phoenix to unearth the bubbling hip-hop and rap scene in the cities of Shanghai, Taipei and Chengdu. Through interviews with Bohan, Beijing-born producer and founder of bass music collective Do Hits Howie Lee, and Chengdu rap group Higher Brothers, Allyson discovers China’s next great export. SOSUPERSAM- DJ and artist SOSUPERSAM, otherwise known as Samantha Duenas, talks to Banana on how she’s gotten to where she is today and the emotional first time visit to her motherland, the Philippines. Words by Vicki Ho, images by Joonie Jang, styling by Diana Tsui, hair and makeup by Make Up Pro New York. 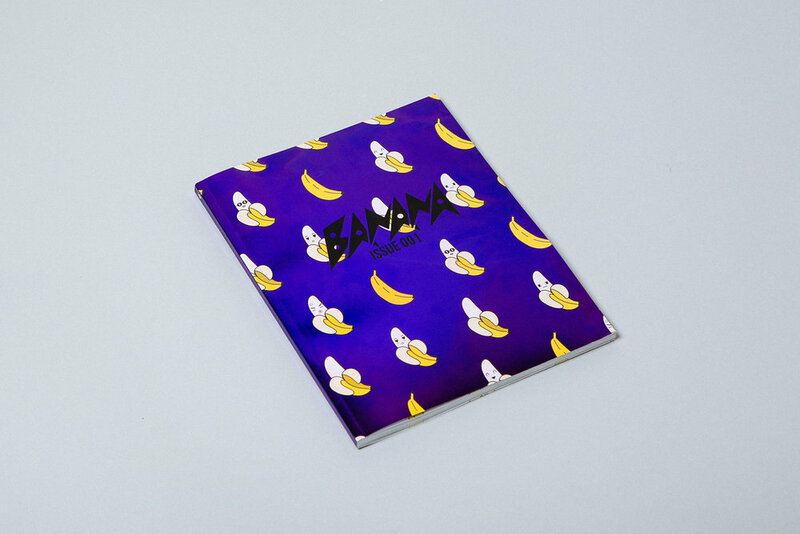 Cover & Feature: Greg Foley - Banana has enlisted Greg Foley as issue two’s cover artist. 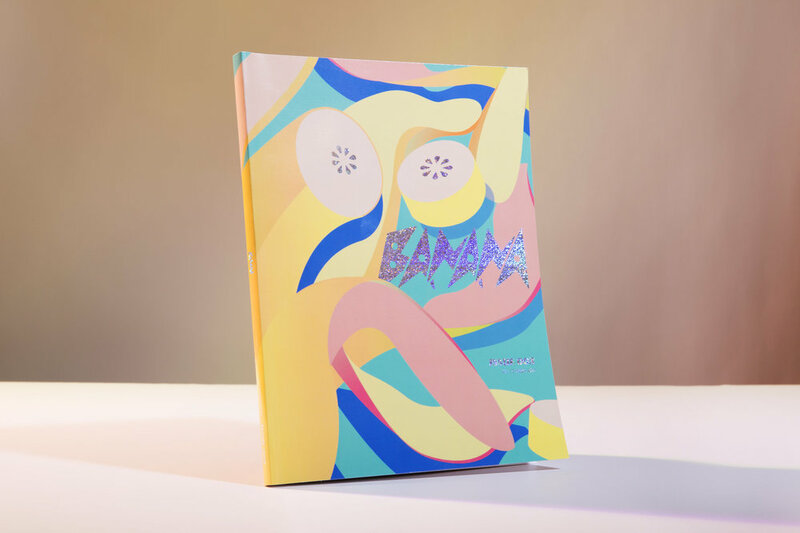 As creative director of Visionaire and author-illustrator of children’s books, Thank You Bear, the half Filipino, half White artist was the perfect person to continue Banana's eye-catching and unique covers. Our inside feature, written by Mike Nguyen, takes an exclusive look at Foley’s latest pieces from his ongoing ‘color preference series’. Chrystie St. - Banana co-founder Kathleen Tso explores Chrystie St. between Grand and Hester Streets in Chinatown, N.Y.; the block she’s called home for the last three years. Photographer and longtime frequenter of the neighborhood, An Rong Xu, supports the feature with an emotional and gritty photo series depicting Tso’s everyday street. Jade Bangles & Cuban Linx - A look at traditional and nontraditional Chinese jewelry from the perspectives of two different subjects--one, a Chinese woman who immigrated from Taiwan in the 1980’s, and the other, a semi first generation Chinese man engulfed in hip hop culture. 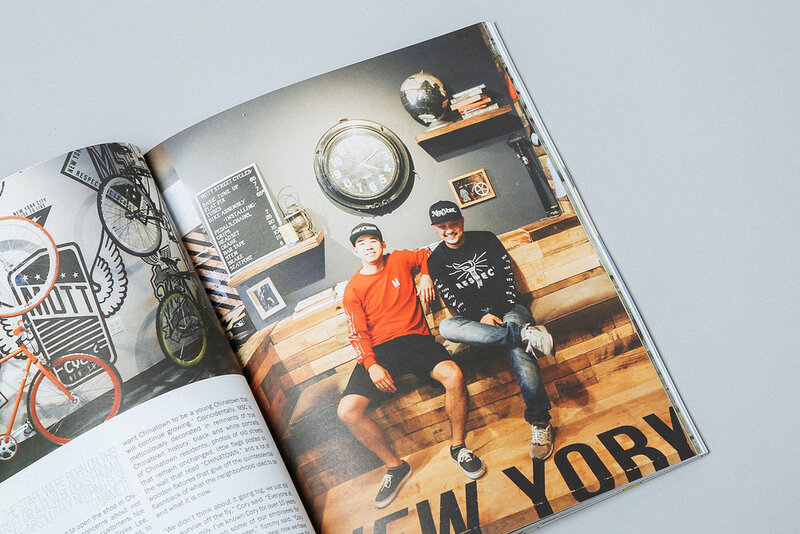 Words by Christine Zhu and photos by An Rong Xu. Kawaii for Men - A first-person narrative by Korean-American rapper Rekstizzy on his acceptance of Kawaii lifestyle for men and why others should embrace it too. Illustrations complemented by Soeun Lee. Lynn, MA - Bon Appetit staff photographer, Alex Lau, takes us to Lynn, MA, a small town heavily populated with Cambodians. Lau documents the dichotomy between culture and traditions through his striking photo series. Mr. Chinatown - Banana profiles Wilson Tang, an entrepreneur, and owner of NYC restaurants Nom Wah and Fung Tu. Tang discusses the next generation of Chinatown, his ambitions and goals, and how his entrepreneurial drive took off. Words by Charlene Wang de Chen and photos by Trinh Huynh. Ni Hao Ma! - Writer Tiffany Tso’s outlook and PSA on Asian women getting catcalled on the streets with racial slurs. Lighthearted comic strip illustrations by Louie Chin. Ray Potes - A Q&A and profile on Ray Potes, an LA-based Filipino photographer and founder of bi-annual zine and publishing house, Hamburger Eyes. Photos provided by Potes and words by Kathleen Tso. Sandy Liang - A profile story on women's fashion designer, Sandy Liang. The native New Yorker talks to Banana about her experiences as a first generation Asian and how traditional values and family influenced her work. Supplemented, is a fashion editorial featuring Liang's AW15 collection. Words by Vicki Ho, Photos by Rebekah Seok, Styling by Beverly Nguyen. Featuring models Gia Seo and Nora Dagva. Hair by Shuhei Kadowaki and Make up by Seiya Iibuchi. What Are You? - A black and white photo series exploring mixed Asians--physically, culturally, and sociologically--in the creative industry. Words by Joshua Glass and photos by Ryan Kibler. Subjects include Joshua Glass, Chris Colton, Dominic Sondag, Anthony Coleman, Anthony Hull, Ayumi Patterson, Hoshi Ludwig, Laura Baker, Alex Hodor-Lee, Lucille Javier, Miyako Bellizzi, Alison Kuo, Dan and Eliza Blank, Josephine Cruz. Hair by Taichi Seito, Make up by Rika Shimada using MAC Cosmetics, and by MAKE-UP PRO. XYZ Boyz - A Q&A on Japanese dance crew, XYZ Boyz. Explores the crew adapting Bronx dance style, Litefeet, and the cultural differences between dance in America and in Japan. Photo editorial features the XYZ Boyz in the infamous Freedom Tunnel. Words by Yumi Yamsuan and photos by William Yan.